Many People are very busy in a daily schedule like in work, travel etc. which is why they cannot decorate their house in advance or we can say that they don’t have time to do preparation in advance. 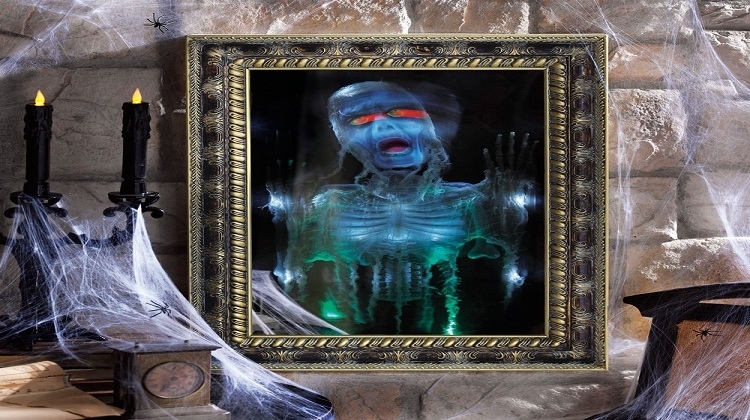 Halloween is just around the corner and for those types of people, it's too late to decorate their haunted house, add a touch of fear to Halloween party decorations. Get into scary feeling with these quick and stress-free Halloween ideas which you can do yourself. 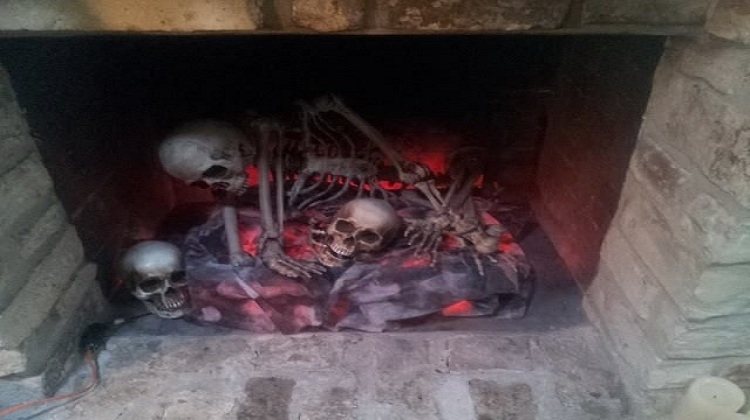 Create a skeleton fireplace: You can complete this task within 10 minutes. First of all, it is winter and you will definitely use a fireplace to provide a warm touch to your living room. So, open your fireplace and clean it. It doesn’t mean that for a scary look it should be dirty. After cleaning it, arrange your fire under fire log holder and try to spread light on the edges instead of center. You can also use light bulbs for better results. After that, cover it with cloth and can use Creepy Printed Cloth. Make sure that light will reflect outside. The next step is to put the skeleton on the firewall like the below image. It will look more scary and unique. Create Ghost in Mirror: For this purpose, take a large mirror or small mirrors on the wall where you can see yourself. For this idea, take a mirror and remove frame. Take a paper and draw any ghost picture on it using a pencil such as draw eyes, hand etc. You can take inspiration from Google. When you complete your picture, attach it on the frame or behind the mirror. Add your frame with mirror and hang it on the wall. When you see in mirror, it will look like anybody is standing behind you. 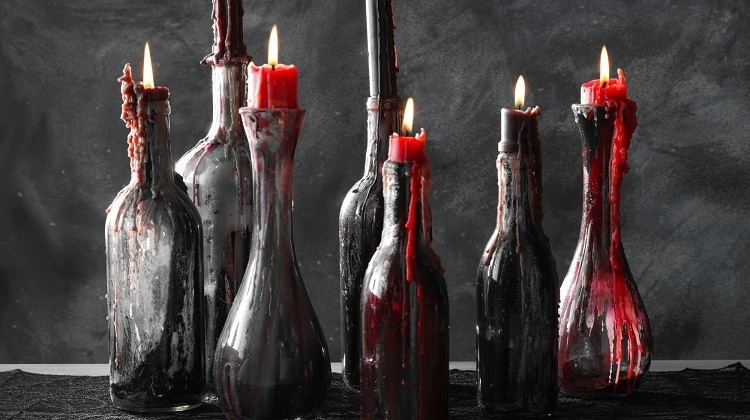 Haunted Candles: It is the easiest method to create a scary look. A candle is mostly used for showing a hunted view. Take candles in cream-color, which is a great base to start with, but these needed a little something to make a perfect display. So, use red color and dropped on it. For the better result, you can use tomato sauce. Sauce and red colors are temporary things which will work for only one hour so use wax to fix it. Take a bowl and heat you wax. Mix color or sauce on it and then drop on the candle. So you can enjoy it till the end of the party. Take an orange carpet: Place an orange or black handmade carpet. If you can buy a handmade rug in orange or black color then you can take it because flooring is the main part of a home. A handmade carpet is the most suitable accent for enhancing the look of a home. It is winter so you can also use it for providing a warm touch to your space and also can use it in the future. So, don’t be late and go to your nearest handmade carpet store and take a beautiful handmade area rug. For showing it scary, you can use a handcrafted spider or put some pumpkin on it. So, follow the above ideas and decorate your home last minute for Halloween 2018.